Sleep disorders—if not treated promptly—will eventually affect your heart, brain, mental health, and daily functioning. Some sleep disorders could be a precursor for serious neurological conditions, such as Parkinson's disease, according to recent research. Sleep deficiency—not getting enough restful sleep—is associated with many serious health conditions, including heart disease, diabetes, stroke, high blood pressure, obesity, and depression. Some people are able to correct a sleep disorder by improving their sleep habits and environment, but for those who continue to have sleep problems, a sleep disorder may be the underlying cause. “One of the most important aspects of good sleep is to have a set routine. Keeping a regular bedtime and wake time every day is critical for adequate regulation of circadian rhythms. Circadian cycles dictate many functions of your body, including hormone secretion and alertness, and are closely tied to the 24-hour clock,” says Ana Krieger, MD, medical director of the Weill Cornell Center for Sleep Medicine. Dr. Krieger points out that your circadian rhythm doesn’t distinguish weekdays from weekends, so a regular sleep time should be kept seven days a week, whenever possible. And, be sure to allocate adequate time for sleep: Although people have individual sleep needs, only a small percentage of the population can get by with less than 6 hours of sleep a night. In some cases, despite a regular routine and adequate sleep time, people may experience difficulty sleeping through the night or a sensation of feeling unrefreshed upon wakening. Identify healthy approaches for relaxation at bedtime; decrease noise, stimulation, and light exposure. Create and follow a sleep schedule and routine. Avoid alcoholic beverages within three hours of sleep. Worries or a busy mind often keep people from sleeping well. Approaches that promote relaxation, such as meditation, slow breathing, and yoga, are often helpful. You can also use a “worry list”; writing down your concerns during the day will help keep them off of your mind at night. “Taking time to be quiet and relaxed, even if for just a few minutes before going to bed, may have a great impact on sleep quality,” says Dr. Krieger. It may also be helpful to change your beverage choices. If you’ve adjusted your sleep habits and environment but you’re still not sleeping well or enough, it’s time to talk to your doctor about possible causes. For some people, the problem isn’t the time spent sleeping but the quality of the sleep they are getting. 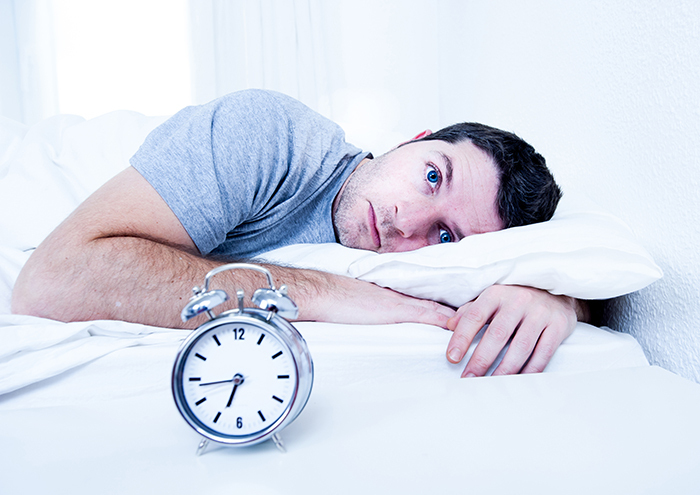 A common sleep disorder is called sleep apnea. People who have sleep apnea repeatedly stop breathing while they sleep, which disrupts air flow to the lungs and oxygen delivery throughout the body. Obstructive sleep apnea, or OSA, is the most common type; it occurs when your throat muscles relax and block your airway. Another type, central sleep apnea, occurs when your brain fails to send the right signals to the muscles that control breathing. “More often than not, patients suffering with breathing problems at night are unaware of the disturbance. Patients with sleep apnea often report snoring, dry mouth, and fatigue or sleepiness during the day. In order to make a diagnosis, an overnight test is needed,” explains Dr. Krieger. Bed partners of people with sleep apnea often report hearing gasping, gurgling, or choking noises as the person struggles to begin breathing again. “There are many treatment options for managing sleep apnea based on the severity and type of apnea. They range from simple behavioral changes, such as losing weight or sleeping on your side, to the use of a device in your mouth that helps keep your throat open. For people with moderate or severe OSA, an option is a continuous positive airway pressure device, or CPAP,” says Dr. Krieger. A CPAP pushes air through a tube to a mask or nasal pillows worn in or over the nose and/or mouth; the constant flow of pressurized air keeps the airway open. There are many other types of sleep disorders, including periodic limb movements (sometimes called “restless legs syndrome”), circadian rhythm disorders, and parasomnias, such as sleepwalking. A doctor who specializes in sleep medicine can determine what is causing your sleep deficiency and recommend treatment that will help you get a good night’s rest. Maurizio Fava, MD, editor-in-chief of Massachusetts General Hospital’s Mind, Mood & Memory, answers a common questions about hypersomnia treatment. Q: I’ve been told that my daytime sleepiness and constant fatigue are signs of hypersomnia. What are hypersomnia treatment options? A: People with hypersomnia often experience excessive fatigue and sleepiness during the day. Confusion, difficulty waking up after a long night’s sleep, anxiety, irritability, decreased energy, and memory difficulties are also among the symptoms. There are many possible causes of hypersomnia, including an underlying medical condition that can be treated, like low thyroid function or depression, a head injury, a sleep disorder (e.g., sleep apnea), or a reaction to medications. However, in some individuals, there is no identifiable cause and hypersomnia treatment focuses on improving quality of life. In this case, your physician might prescribe an antidepressant, or a stimulant medication to make you feel more awake. Hypersomnia is also treated through lifestyle changes, such as establishing a daily schedule of regular mealtimes and bedtimes, avoiding alcohol and caffeine, consuming a high-nutrition diet to boost energy levels, and refraining from working at night or staying up late to socialize. adequate sleep, alcohol, antidepressant, anxiety, apnea, blood pressure, boost energy, boost energy levels, brain, breathing problems, caffeine, circadian rhythms, constant fatigue, cpap, daytime sleepiness, depression, diabetes, diet, difficulty sleeping, excessive fatigue, fatigue and sleepiness, head injury, health, hearing, heart disease, high blood pressure, hormone, hypersomnia treatment, losing weight, meditation, memory, mood, nutrition, nutrition diet, obesity, osa, report, restful sleep, sleep, sleep anxiety, sleep apnea, sleep disorder, sleep disorders, sleep habits, sleep medicine, sleep problems, sleep quality, sleep schedule, sleepwalking, snoring, stroke, thyroid, types of sleep disorders.